Eyecare Plus practices providing Eyecare Vision services believe that every patient deserves only premium eyecare available today—and daily we work hard to give our patients just that. 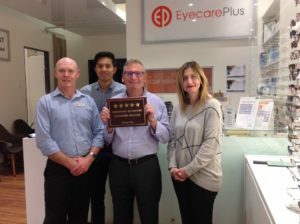 August 13, 2015 was celebratory for practice manager Andrew Beswick and his team as Eyecare Plus Roselands got accredited for quality, service, cleanliness and value. 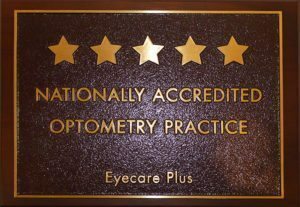 Our practice received the highest possible distinction for an optometry practice to achieve—the 5 Star National Accreditation. Optical dispenser Mark Tidyman, Optometrist Dr Vincent Tran and Practice Manager Andrew Beswick will take care of your eyes. One of them is Dr Hana Melligi, whose experience and passion for outstanding patient care has taken her to rural areas where there is a lack of eyecare facilities. There she provided optometric serivces to indigenous communities. 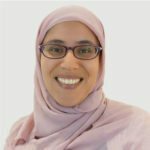 Dr Hana’s interest areas are in ocular disease management and children’s vision. Contact Dr Hana if you have a question. 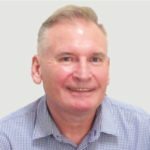 Andrew is our practice manager and qualified optical dispenser. Being involved in the optics for over 40 years, Andrew Beswick is clearly a master of his craft. He has extensive product knowledge on all lenses and frames from a technical as well as an aesthetic perspective, and an eagerness to help. Trust Andrew to solve your vision problems while giving you a great look! Contact Andrew if you have a question. We are committed to help children with vision challenges and vision-related learning difficulties like eye turns and lazy eyes. We are dedicated to improving the vision of our children. Children are our future, and our team at Eyecare Plus Roselands is driven to support, mentor and help every child with vision challenges or related learning difficulties so that they can reach their full potential. We offer a range of services including macula and glaucoma assessments. We give our patients convenient solutions for their busy, active lifestyles—patients who are seeking improved quality of life through real vision solutions. “We also believe it is important that we give back to our community, and we do this by our ongoing fundraising support for events and organisations like World Sight Day, Our Children’s Vision and Optometry Giving Sight,” states Andrew. Locals from the surrounding suburbs can always expect 5 Star Service from Eyecare Plus Roselands. And when you’re not from the local community, be pleased to know you can get the same quality of care and expertise from our other Sydney practices. I Failed A Colour Vision Test? What Next? High Level Sports and Poor Vision, Do They Go Together?